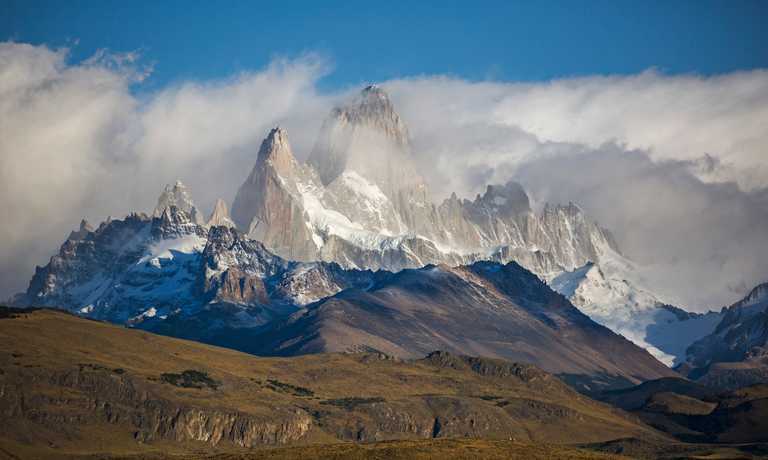 Led by a company with experience in the region since 1975, on this trip you'll go to both ends of the park and see the two impressive granite spires: Cerro Torre and Mount Fitz Roy then come back to a cosy lodge or hotel each night. 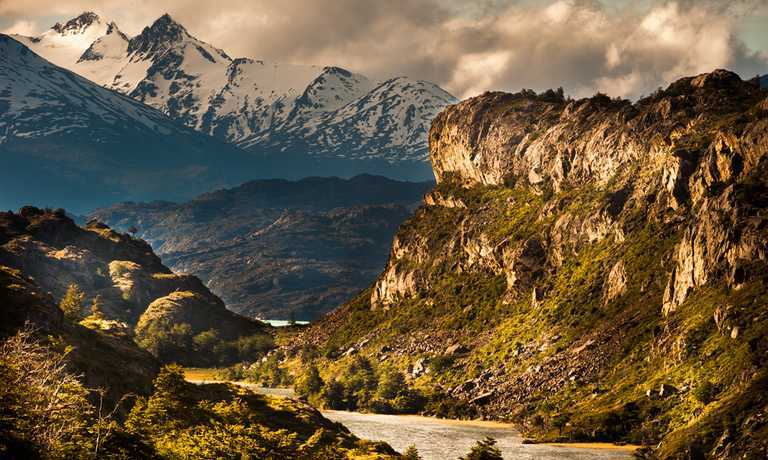 On arrival in Calafate you will be transferred from the airport to the selected hotel for overnight accommodation. The remainder of the day is for leisure to take in the shops or a walk beside the lake where flamingoes can be seen. It is a good idea to purchase your lunch this afternoon for tomorrow's tour - it is possible to purchase lunch at the glacier, however it is a more expensive option. 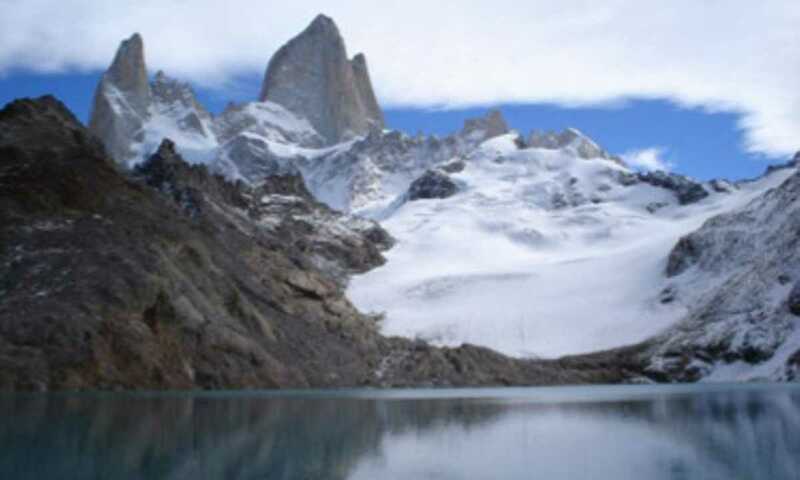 Day hike to Cerro Torre Depart from your hotel in Calafate for the morning drive across Patagonia and the arid Argentine pampas to Chalten (approx 4 hours), a village in the heart of Los Glaciares National Park from where we make our day trips. We arrive at our hosteria, pick-up our boxed lunch and walk to Laguna Torre (6 hrs return). This is a beautiful walk taking us towards the majestic spire of Cerro Torre. The mountain view, when the weather is clear is truly impressive and makes this a great day hike. 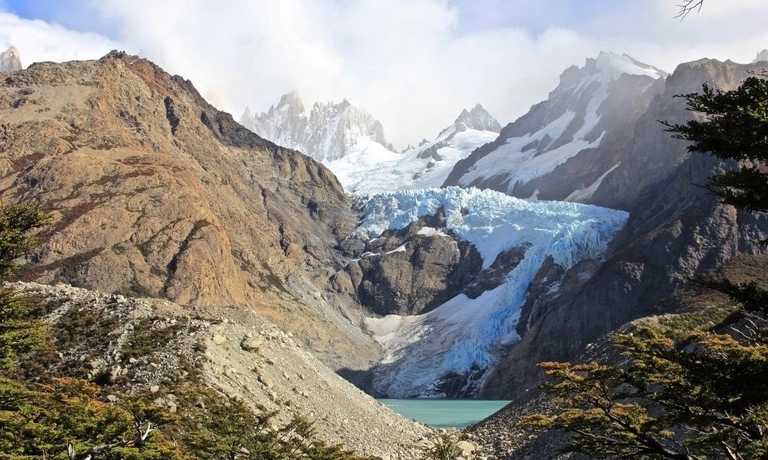 Today we undertake, what many believe is the best hike in Los Glaciares National Park. Our 8 hour walk is quite a long day, but it is worth every step. Those not wishing to take the whole trek may take an easier option. Every turn of the trail offers a new and impressive landscape. Continue towards Laguna de los Tres, passing by Mt. Rosado and Mt. Le?n, skirting Chorrillo del Salto River, with a breathtaking view of Fitz Roy, Saint Exupery and Piedras Blancas massifs. After lunch we will go on to Poincenot camp site. Crossing R?o Blanco, we will come to the camp site with the same name where the ascent to Laguna de Los Tres starts, at the foot of Mt. Fitz Roy. We will continue our trek visiting a balcony from where we will have a spectacular view of Laguna Sucia, a beautiful greenish lagoon with small icebergs floating in it, 300 meters below us. Return to El Chalt?n. The drive back to Calafate takes 4 hours, and the road is now paved for most of the journey. Trip concludes on arrival in Calafate bus station or airport.